With the development of technology, the life of human beings has become easier, both personally and professionally. Therefore, with the help of technology anybody can start a business from scratch, even by just sitting at home. One such successful business that anybody can run from home is an eCommerce business. 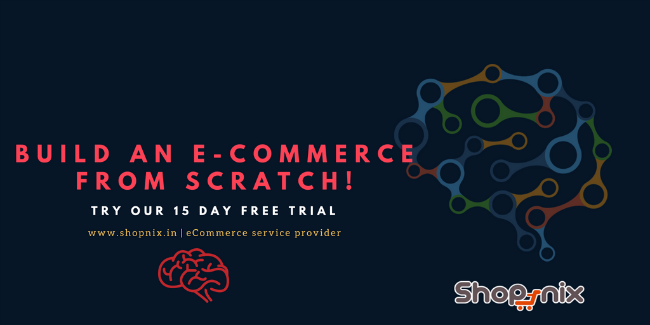 These days, anybody can easily build an eCommerce website from scratch. However, the growth in technology has also created a lot of competition. Therefore, to successfully run a home based business through an online store, one should follow the following steps. The very basic thing to do before starting a home based business is to select the product for the business. It is very important to decide the products that you will sell on your online store. It is essential that you select a product of your niche so that your passion to run the business remains. The main reason to do is that you will work on these products on a daily basis, and you might get bored of products in which you do not have any interest. Be wise when you select the product for your virtual store. Identify the online competition:- If the competition is too high then it will be pretty hard for you to gain online traction. Definitely, you can, the biggest challenge will be to prove to Google that your business enterprise is worthy of ranking and it adds significant value to those individuals who engage with your digital shop. It’s better to identify a niche that is moderately dominated by big brands. That way it will be easier for you to get some online visibility within the first 6 months. Note:- your success can always be correlated to your learning graph and effort. Make sure that you will invest the right time and effort to create a brand worth of engaging with. Once you decide the product, you need to select a platform to build your eCommerce website. The platform selection depends on the budget. You can select either a hosted service, licensed platform or an open source platform. Generally, people with a very low budget select an open sources platform, while the smartest ones will select a hosted service. Online platform providers like Shopnix have been a preferred choice among people for more than 5 years. Almost all platform providers give a trial period of 15 days. Make sure that you will make use of this opportunity to explore the platform provider. Visit their features page, go through the multiple plans they mentioned. Compare each plan with one another and decide what features are required to run your online store. Select the best plan that suits your need. Before finalising make sure that the plan you select comes with all the basic features needed for setting up and running a hassle-free online business. Do the same for multiple eCommerce service providers. That way you will get the best that money can buy for you. Based on the selected platform, you need learn its functionality to successfully build your online store. You should identify the most important and basic pages and set them up when you create an online store. Also, ensure that the branding consistency is maintained throughout the website. Planning to build an eCommerce website from scratch, let me help you, it’s easy as said. Owning a virtual store is s simple as creating a Facebook account. One small sign up and you get everything you need to sell online. Most online service providers have considered the fact that the platform is built for people, not techies. So, the layouts and interactive modules are customised in a way people with the least technical knowledge can easily set up an online shop all on their own. The selection of a domain name is one of the most important decisions to be made in any online business. It is often advised to pick up a short, simple and business-related name. Once the name is decided, you need to select the domain extension such as .net, .com and much more. It is of great importance to note that if you are planning to cater to a global audience then you need to pick .com domain. At the same time, it’s better to narrow down and focus to a .in domain if you target audience in India. Money is the major driving factor for any business. When you decide to build an eCommerce store for your home-based business, you need to ensure that your customers can pay you through the website. As an online store owner, you can choose to integrate as many payment options as you need. However, you need to ensure that you include the basic and the most common mode of payments. For instance, some of the common modes of payment are a credit card, debit card, PayPal, and online transfer. Having completed your online store, you need to market it so that it reaches the right audience. One simple reason is that to run your business successfully, you need to attract more customers. Fortunately, there are several media through which you can market your store. One such medium is the social media where there are hundreds of people. It is the fastest place to target thousands of people within the shortest possible time. Blogger Outreach:- Reach out to bloggers who are active in your niche and request them to review your virtual store. Most bloggers will have a great set of active followers who are interested in your niche. By tapping into this resource you will get a deal deal of targeted traffic to your website. Instil your presence in multiple online platforms:- Make sure that your products are listed in all possible market places. By doing so it creates multiple touch points for people to interact with your business establishment. Design an SEO strategy:- Organic ranking in Google helps you drive targeted traffic to your website. Search Engine Optimisation is an extraordinary strategy. With the right commitment and effort you could rank in organic search. Follow the best practices when implementing your SEO strategies. Engage your audience:- Motivate people to engage with your website. One best example is limeroad.com, the business entity encourages people to participate in online contest to display peoples creativity. In the end handpicked ones are listed on the website. Use generated content:- User generated content plays a significant in boosting confidence among users. Consider that you are an online brand that sells apparels online. Then make sure that you give people an opportunity to display how satisfied are they with your establishment. Most people who are happy and satisfied with your service will be happy to share their experience. For an apparel store it will be, customers sharing snaps wearing the outfit they bought from you. Starting a home based business is what most of you might have been dreaming for days. Well, now that you know how to proceed, why do you hold back? Get yourself out of your comfort zone and start working on your dreams.